Strong Girls is an Arvsfonden supported project and a collaboration with BK Ume Trixa. The goal of the project is to support girls in benefiting from the diverse development opportunities available from participating in sport and outdoor adventure. The project will develop and test a new model of sports provision, one that combines a diverse selection of individual, team and outdoor adventure sports with personal development and leadership skills activities. 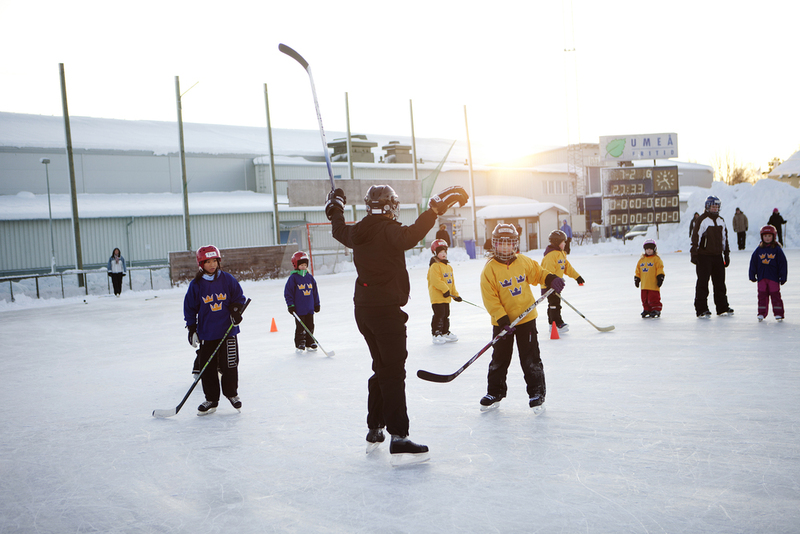 Focusing on girls between 13-16 years old this new sports program will be implemented in collaboration with local schools and sports clubs in Umeå. A website dedicated to this project will be online early in 2016. Our work with Trixa aims to get more young girls on to the ice by removing the barriers represented by available training times and the costs of equipment as well as shifting the sports culture to make the ice hall a more natural arena for girls. We have also been working to encourage more women to take up ice hockey later in life, a new initiative which has been a great success! You can read more about this work on Trixas homepage.